Learn to make sushi, one of Japan’s most popular foods, with a hands-on sushi lesson from a cooking instructor. 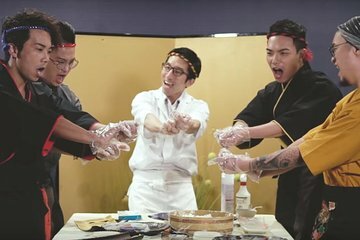 Put on a traditional Happi, and look like a sushi chef as you shape your own beautiful sushi rolls. Then sit down for a delicious meal of sushi and udon you prepared yourself. Adult pricing applies to all travelers including children. Allergies, non-raw, gluten-free, Muslim-friendly, and other options are also available.